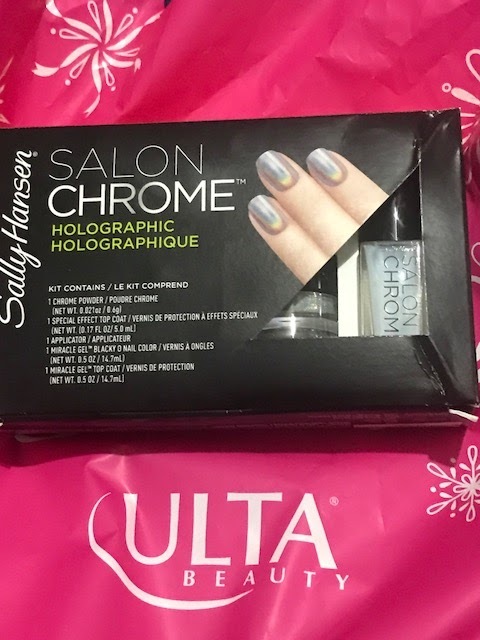 Arts, crafts and everything in between: My Sally Hansen Salon Crome kit review. So recently watched the video from Utla.com about Sally Hanen Salon Chrome kits and was lucky enough to have purchase the exclusive shade called Holographic which contains everything you'll need to achieve the designed look. Salon Chrome does come in four other kits that you will have buy a few more things so it's best to read and have everything you'll need to try these kits for yourself. The little crafter show: teacher's holiday gift. The little crafter show: Vinyl haul video. The littlecrafter show: Come plan with me.